Trick-or-Treat! Give me something good to eat! It’s that time of year to dress up in superhero and princess costumes, go trick or treating door to door to get as much candy loot as possible, and bob for apples. Historically, Halloween is a festival of the dead. It was believed that the dead returned as ghosts and witches attempted to communicate with them. Today, we celebrate this family friendly, kid centered day with costume parades, pumpkin festivals, scary haunts and much more. Check out some of these non-scary activities for our favorite season of the year! 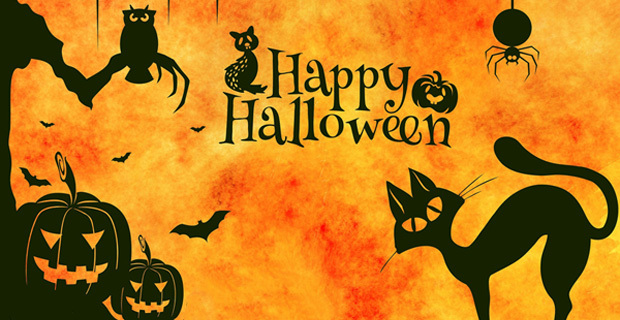 Indoor spooky friendly fun for the whole family at iPlay's Halloween Happenings! Featuring live magic show, kids entertainment, Trick or Treat Trail, spooky decorations, photo stations, rides, and attractions. Also happening: Trick or Treat Around the Park on Oct 26th. Spooky good time at Boo at the Zoo. Come dressed in costume and enjoy a haunted hayride pirate adventure, candy trail, pumpkin carving, crafts, magic show, extinct animal graveyard, seasonal treats, Spooktacular night walks, and more! Get into the Halloween spirit at Sahara Sams indoor waterpark with spooky family fun. Rock to your favorite Halloween jams with DJ entertainment; enjoy pumpkin picking and pumpkin painting. Lots of spooky fun at our Seaport Spooktacular! Wear your costume and trick-or-treat on the decks of Cruiser Olympia. Make laser cut pumpkins and spooky charms for bracelets. Visit our Mad Science Lab for some ghoulish surprises and much more! Enjoy the park & rides at Storybook Land. No fright Trick or Treat weekend for kids. Wear your costume and get treats at over 20 stations. Park is transformed into a family friendly haven. Come in costume, hop on rides, see special Halloween shows, and check out the Neighborhood Street Party Halloween Parade. Plenty of family fun! Walk through eye-popping pumpkins and spooky scarecrows. See Pumpkin carving, creepy creatures like snakes and lizards. Train rides, Fall activities, Halloween Crafts & vendor fair. Walk among pumpkins, corn shocks, and scarecrows.